This book brings together the easy and joyful principles and practices that are common to all major religions of the world. These are what can be used by all people from any culture or tradition for the highest spiritual progress, and to bring about a united one world religion that can be shared by everyone. This is a happy process of spiritual success for everyone. This is much easier to recognize than most people think, and is a way to bring down the differences, barriers and separations that seem to exist between religions. This book presents the universal way for everyone to reach the highest levels of spiritual truth by practical and personal realization, in other words, how to find God. 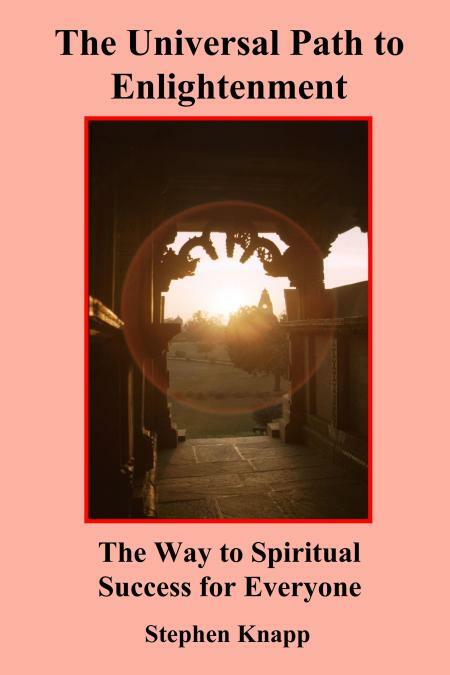 This book provides a most interesting and revealing survey of the major spiritual paths of the world and describes their histories, philosophical basis, and goals. It also promotes spiritual understanding and provides the information that will help all sincere seekers of Truth to decide which path may be the best for them. --the essential similarities of all religions that all people of any culture and tradition can practice, which could bring about a united world religion, or "THE UNIVERSAL PATH TO ENLIGHTENMENT." --how Christianity and Judaism were greatly influenced by the early pre-Christian or "pagan" religions and adopted many of their legends, holidays, and rituals that are still accepted and practiced in Christianity today. --about evidence that shows Jesus traveled to India to learn its spiritual knowledge, and then made bhakti-yoga the basis of his teachings. --who were the real Vedic Aryans, the founders of the earliest of organized religions and cultures, and how widespread and influential their civilization was to other cultures, such as the Egyptian, Greek, Oriental, etc., and how the Vedic teachings are still found in Christianity and other traditions today, which makes it the source of the world's spiritual heritage. --the philosophical basis and origin of Christianity, Judaism, Islam, Hinduism, Buddhism, Zoroastrianism, Jainism, Sikhism, Taoism, Confucianism, and others. --about the Chakras, mystical powers, and the different yoga systems, such as raja-yoga, hatha-yoga, bhakti-yoga, mantra-yoga, kundalini-yoga, etc., what the goals are, and how practical each one is in this age. --about the main philosophical systems of the East, including Nyaya, Vaisesika, Sankhya, Mimamsa, Vedanta, etc. and what the purpose is of each one. --the different levels of knowledge the many branches of Vedic literature contain, and the ultimate spiritual path they recommend for realizing the Absolute Truth. --how spiritual enlightenment is the cure for the many problems in society. --what the qualifications are of a genuine spiritual teacher or guru. --and, most importantly, what is the real purpose of a spiritual path that you should strive for, which is easily found in the Eastern teachings, and how to practice the path that is especially recommended as the easiest and most effective for the people of this age to reach the highest levels of spiritual understanding and perception. --plus much more information not easily found elsewhere. THE MEANING OF THE PHRASE "GOD IS LOVE"
This book is a trade paperback, $19.95, 6" x 9" trim size, 340 pages, with glossary, references. Or through your local bookstore, ISBN: 1453644660, EAN:978-1453644669. Available through other outlets as well.